Product development through FEA based optimization is an effective approach in reaching competitive designs. Go beyond FEA design validation and optimize your applications based on realistic materials, boundary conditions and environments. TOSCA can achieve highly optimized topographical designs through a robust material removal approach which go beyond traditional parametric methods. 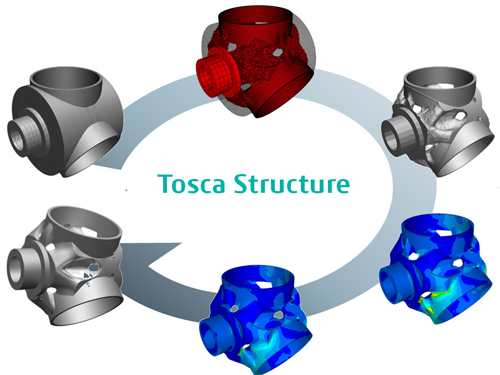 Contact us or call us at (760) 635-0047 to discuss how TOSCA can help optimize your structure.